The division of a project in to separate units often brings with it conflicts of data and miscommunication. Only when the separate units pull together towards the end of a project are errors discovered, leading to delays and losses. The solution is COMOS. COMOS pulls together all data and networking of the separate project units into one database in the form of a joint data model. The point is to structure communications and the flow of data between project teams, everyone can continue to work on their specific tasks. The difference is that everyone can access the same data at all times, with revisions being updated in real time. The integrated COMOS software concept is based on object orientation. Components are described wholly and displayed graphically in their true-to-life representation. The graphical and data-related description, which includes all data associated with the component, forms a single unit within the database – the object. Related data sheets, lists, and other documents are linked to the corresponding objects. Any changes to objects or documents are updated immediately and available to users no matter what their geographical location or time zone. The entire plant, right down to individual components, can be managed, examined and further developed when needed, and by overlapping disciplines. The open system architecture of COMOS can be adapted to exactly meet company-specific requirements, allows links to third-party systems and can be integrated into existing EDP (Electronic Data Processing) landscapes. Ensure your assets are managed effectively. This is where the entire equipment, such as piping, measuring points and other objects, is administrated, described with attributes, and evaluated. Make sure your users (whoever they may be) get the right information at the right time. This is achieved through your data being stored centrally and in object-orientated form. Users will see the latest information, and all revisions when made will update across the organisation. 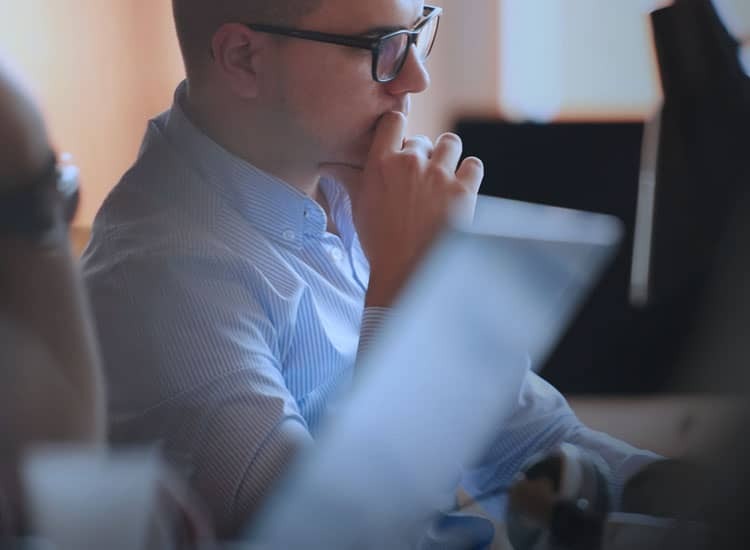 Engineering data from COMOS is accessible to users of other software applications, without them having to possess COMOS knowledge or a COMOS license on their workstation. 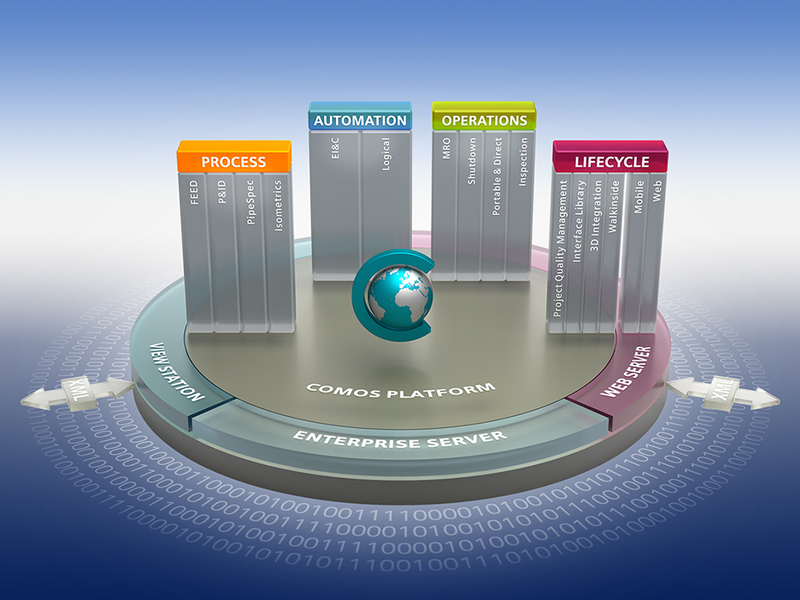 In the other direction, COMOS Enterprise Server also allows data from external applications, such as an ERP system, to be adopted in the engineering with COMOS. COMOS Enterprise Server automatically checks the correctness of the imported data and integrates it once it has been released or informs the person responsible if the data is incorrect. Get the design of your plant right first time using COMOS Process. Use layout data to create process flow diagrams that are the foundation for more precise piping instrumentation diagrams. Any inconsistencies will be flagged up using intelligent rules, so that errors are caught early on. COMOS supports quality-controlled pipe engineering and pipe spec management to conform to international industry standards. COMOS FEED – Front-end engineering & design (FEED) phase solution gives clear cost calculation and clearly shows processes. COMOS P&ID – quick and easy piping and instrumentation diagrams. Data and information from FEED phase can seamlessly integrate to inform P&ID. COMOS PipeSpec – a versatile pipe parts catalogue. Use internationally assured standards, set parameters for consistency and auto-updated if changes are made. COMOS Isometrics – interactive generation of isometrics from construction to as-built status. Supporting electrical engineering, as well as all processes relevant to instrumentation and control engineering. 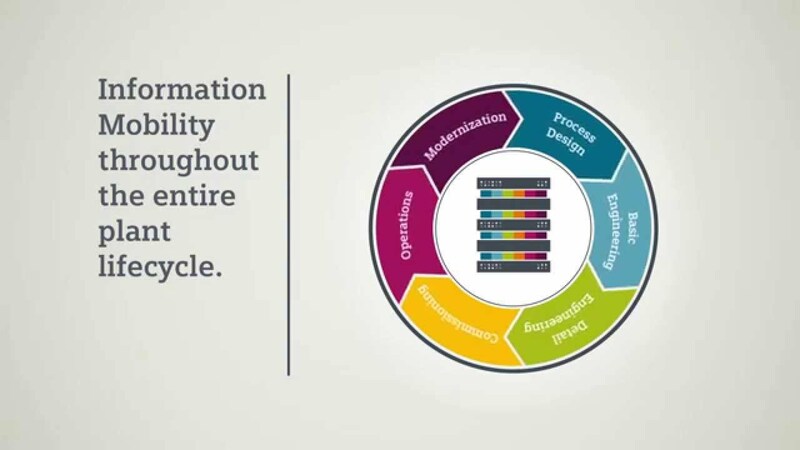 Integrate the large amounts of data that comes with each discipline for simplified processes. COMOS EI&C – access all functional EI&C data that was schematically described during process planning. Interlink with fluid technology. COMOS Logical – graphically create function plans and sequences in accordance with applicable standards. Track changes and implement quickly, minimising fault potentials. All data from the engineering phases can be reused in the operational phase. There are modules for end-to-end, structured and fully automatic planning and organisation of all engineering, inspection and maintenance tasks as well as revamping or decommissioning. Establish a centralised plant/project related document management system to track changes, create technical documents and ensure standards are maintained. COMOS MRO – Maintenance, Repair & Overhaul carried out in a single system. Any changes made due to service and maintenance are also available immediately in the engineering data. COMOS Shutdown – plan and safely execute a plant shutdown. Communication and control divergent disciplines from one place. COMOS Portable & Direct – complete maintenance using a portable device and manage the associated feedback. COMOS Inspection – continuous material testing while interacting with other COMOS applications. Precisely determine and specify inspection points; combine with COMOS Isometrics and MRO for greater efficiencies. Manage your complex information throughout all plant lifecycle phases, regardless of functional assignment. Interlink PI&D, isometrics and 3D engineering. 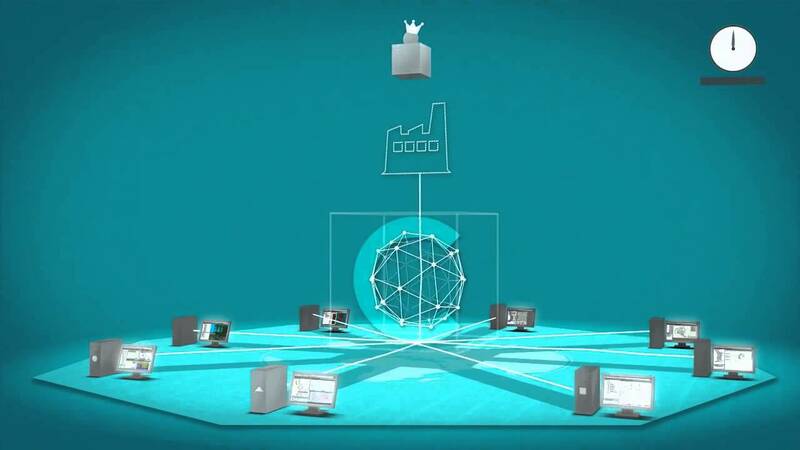 COMOS PQM – Product Quality Management enables complete technical mapping of the plant in one database. Review, release and store documents. Commonly used Office programs can be linked in order to view external documents. COMOS Interface Library – configurable interfaces for the bidirectional exchange of information between COMOS and 3rd party software. 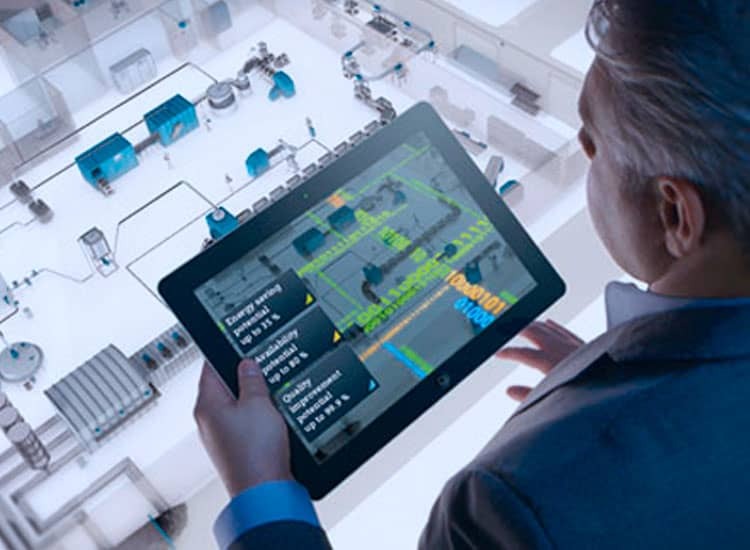 COMOS 3D Integration – create a connection between the individual COMOS software solutions and 3D tools, facilitating the exchange of information. COMOS Walkinside – represent highly complex plant models in realistic 3D. Can be used for monitoring and engineering purposes, as well as operation and training. Plan, simulate and execute service and maintenance work. COMOS Mobile – easily access COMOS data and documents offsite via tablets and Microsoft SharePoint integration. Information can be accessed offline. COMOS Web – The webs server establishes a foundation for the data transfer between the COMOS database and both COMOS Web and Mobile products. It enables worldwide access to your COMOS data and documents via the Internet. WebView gives read only access, while COMOS WebPQM allows readability and editing.